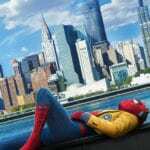 Big surprise today as the first Spider-Man Far From Home trailer dropped and we get our first look at Peter Parker in his new suits and some of the bad guys he will be facing this time around! The trailer was full of funny moments from Happy flirting with Aunt May, to Peter’s school enemy saying how great Spider-Man is and then making fun of Peter himself. And don’t even get me started with Nick Fury shooting that kid in the neck with a dart!! ??? 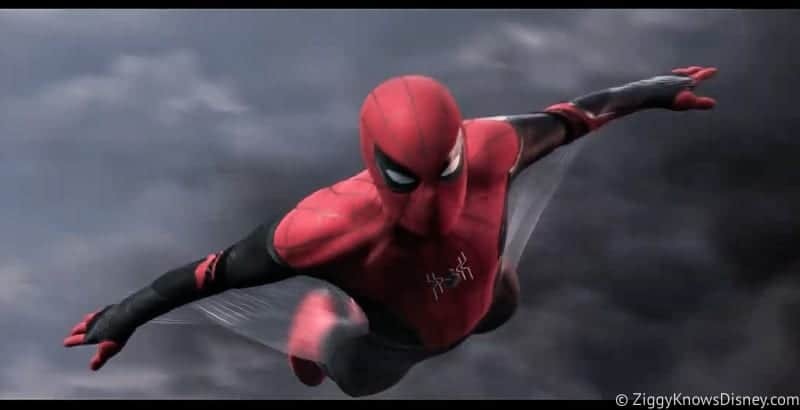 In the trailer we also get to see Peter go away to Europe hoping to leave his alternate personalty behind, instead trouble finds him and he must rise to the occasion once again. There are a variety of bad-guys in the trailer but the most interesting is Mysterio, who seems to be doing good, but most likely is tricking everyone. This is also the first time we’ve seen either Peter Parker or Nick Fury after the Thanos Snap when they both turned to dust. It will be interesting to see if Spider-Man Far From Home is really following the same timeline and happens after Endgame, or if somehow Far From Home takes place before Infinity War or in an alternate universe from the events of that movie. For sure though it’s on our list of Must-See Disney movies in 2019. Spider-Man Far From Home is not the only Marvel Studios film coming out in 2019. We have less than 2 months for Captain Marvel and just over 3 months for Avengers Endgame, so it’s going to be a super-hero packed year, and I can’t wait!! 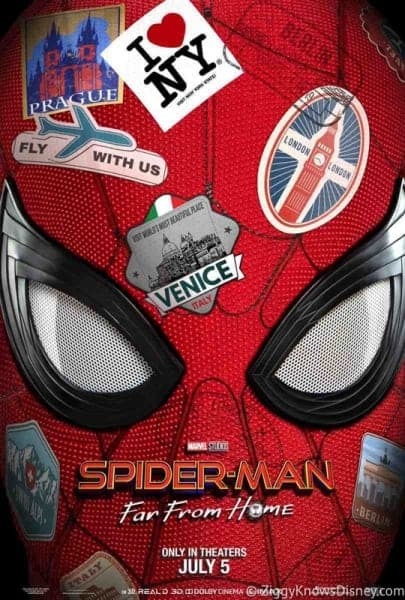 Spider-Man Far From Home hit theaters July 5th, 2019. What do you think of the footage so far? Is Mystery really a good guy? New Ant-Man and the Wasp Trailer is Released! Can’t wait. Spidey is definitely one of my favorites. I agree, it looks like it’s going to be amazing! What was your favorite part? ?